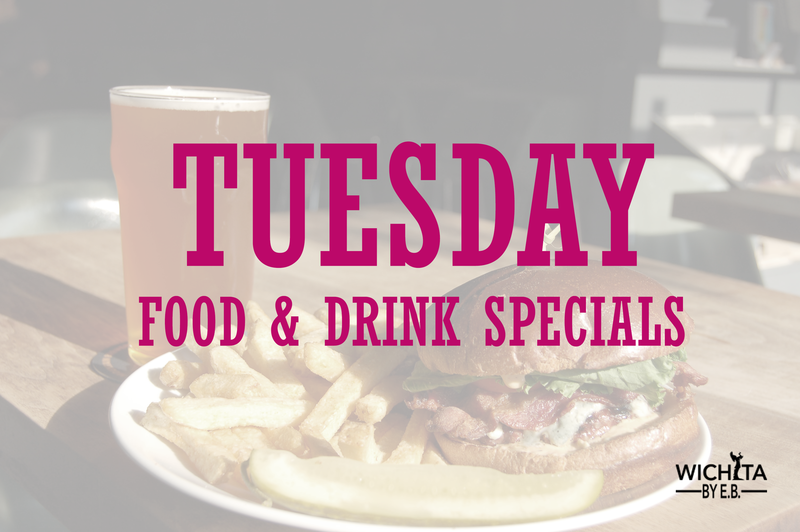 Tuesday Food and Drink Specials – Wichita By E.B. 99 cent kid’s meal with purchase of an adult meal for children 12 and younger from 5pm – close. Limit 3 kids per adult meal. One free kids meal with purchase of an adult meal. Offer available only at west side Felipe’s locations. Limit is three per adult meal for kids 12 and under. One free kids pizza buffet with purchase of an adult buffet. Buffets run from 11-1:30pm and 5-7:30pm. One free kids meal with purchase of an adult meal. The deal is good for children ages 12 and under. IHOP, 3505 N. Rock Road; 11855 E. Kellogg Dr.
One free kids meal with purchase of an adult meal from 4 to 10pm. The deal is good for children ages 12 and under. La Hacienda Mexican Restaurant, 1138 N. Nelson Dr (Derby, KS). One free kids meal with purchase of an adult meal from 5 to 10pm. Free sundae with any meal purchase for kids. Kids eat free with purchase of an adult meal. The deal is good for children ages 12 and under. Free kids meal or buffet with purchase of an adult meal or buffet. Meal or buffet offer varies by location. The deal is good for children ages 11 and under. Are we missing something or is a deal expired, please email us.